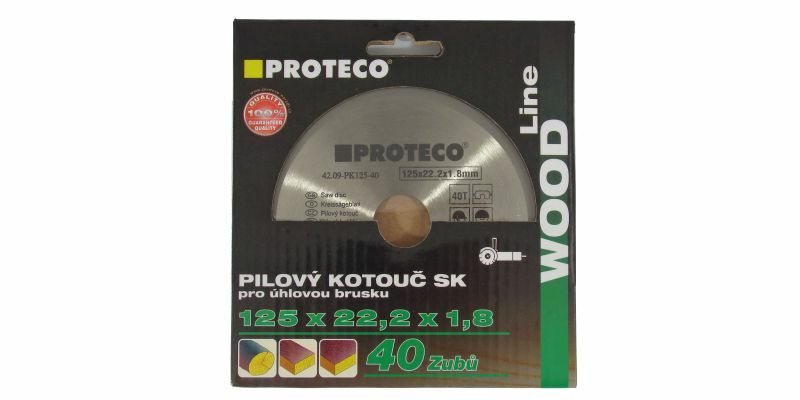 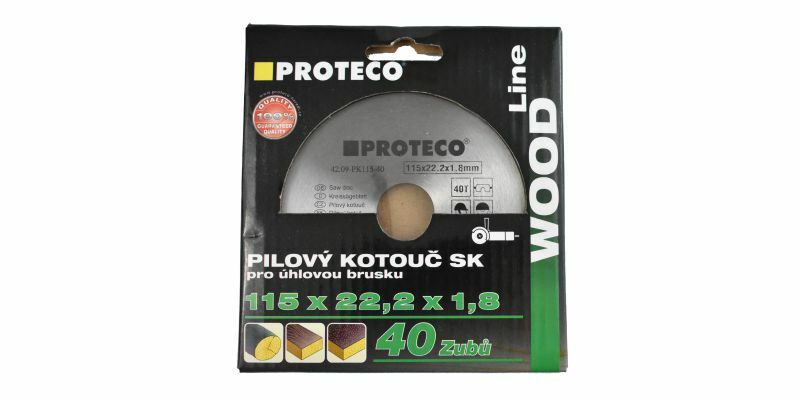 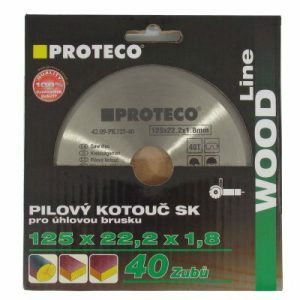 Proteco angle grinder wood blade in size 115mm or 125mm x 22.2 bore x 1.8mm. 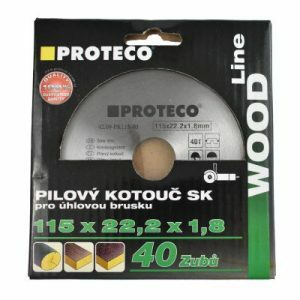 Suitable for quick cutting various materials as wood, beams, timbers, MDF, plywood, chipboard, plastic, etc. 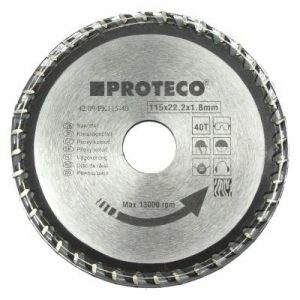 Fits all angle grinders. 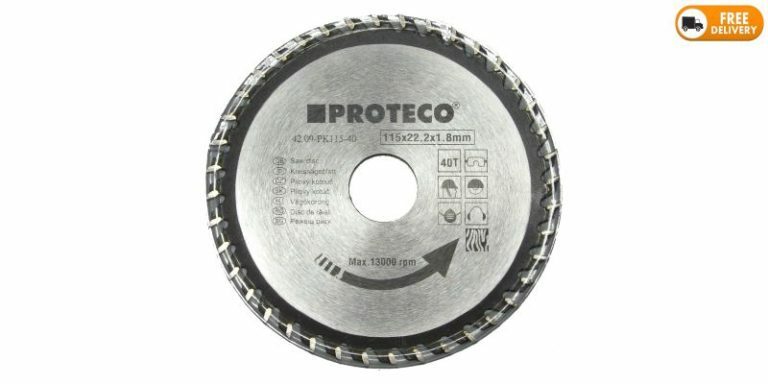 Universal fit.